An assassin, a thief, a maniac, a tree man, and a talking raccoon. When Keven Feige mentioned casually at the 2010 San Diego Comic-Con that Guardians of the Galaxy was a potential film Marvel Studios was interested in producing somewhere down the line, it was met mostly with laughs and a fair amount of cynical dismissal. Then, when he mentioned in the September 2011 issue of Entertainment Weekly that they had the “opportunity to do a big space epic” there was more eye-rolling. 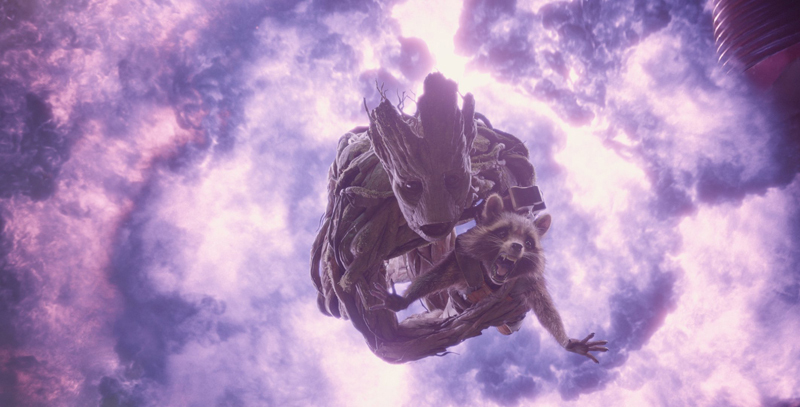 In a world where Warner Bros. had yet to get a Wonder Woman film into production, what chance was there for seeing Rocket Raccoon and Groot on film? As it turns out, screenwriter Nicole Perlman had been working on a script for Guardians of the Galaxy for two years, immersing herself in the world of the comics. It was strong enough that Feige’s hints and suggestions were proven to be more than just idle chatter at the Con. Then, three-time Black List writer, Chris McCoy was hired to rewrite Perlman’s script (although he would not receive a credit for it). Finally, at the 2012 SDCC, Feige confirmed that the film was in active production and that it would feature Star-Lord, Drax the Destroyer, Gamora, Groot, and Rocket Raccon and the crowd went wild. By August, writer/director James Gunn was hired to direct the film — and in the process he decided to completely rework the entire script, taking inspiration from The Dirty Dozen, Raiders of the Lost Ark, and Star Wars among other classics. The choice of Gunn was almost as surprising as the choice in the subject matter itself. Up until this, Gunn was most known by mainstream audiences for his work as a writer of the live-action Scooby Doo movies. But fans knew him for his work with Troma (scripting the criminally underrated Tromeo and Juliet), the splatterstick alien invasion film Slither, and the bleakly hilarious “superhero” movie, Super. Avengers director Joss Whedon, who was now signed on as creative consultant on all the films leading up to the Avengers sequel, was thrilled. He knew the kind of crazy energy that Guardians needed to have if it was ever going to work, and Gunn was just the man for the job. In keeping with this madness, Chris Pratt was signed to play Star-Lord in February 2013. Although he had appeared in a couple of films trimmed-down and in shape, Pratt was mostly known for playing the chubby, bumbling, and loveable Andy Dwyer on the sitcom Parks and Recreation, so yet again, rumblings were heard through fandom. Within two months, however, Pratt attracted online attention for posting a selfie of his newly fit body and a lot of that concern evaporated as hearts began racing. 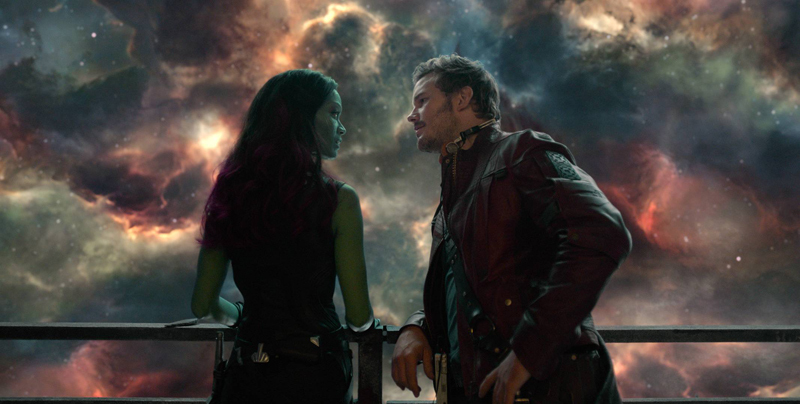 At around this same time, Gunn revealed that the film would include a variety of songs from the 1970s and 80s on a mixtape in Star-Lord’s Walkman, allowing him to have some connection with Earth. This helped to drive home the idea that Star-Lord, Peter Quill, is a real human being to whom the audience can relate. 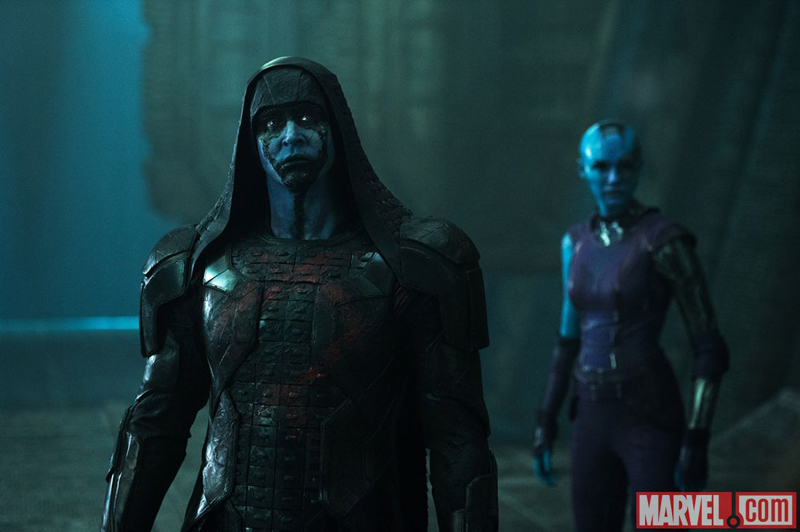 In the meantime, Dave Bautista had signed to play Drax, Zoe Saldana was Gamora, Michael Rooker was playing Yondu (in a move that surprised both everyone and no one), John C. Reilly was playing Rhomann Dey of the Nova Corps, and Lee Pace was finalizing his contract to play the villain of the piece, Ronan the Accuser, with Karen Gillan as his right hand killer, Nebula. What took just about everyone by surprise was the casting of Benicio Del Toro as The Collector and Glenn Close as Nova Prime. In other news, Thanos was rumored to be the mastermind behind Ronan’s plot, and speculation began to explode about how Marvel Studios must be building toward something truly epic for the third Avengers film. An Infinity Gauntlet adaptation, perhaps? 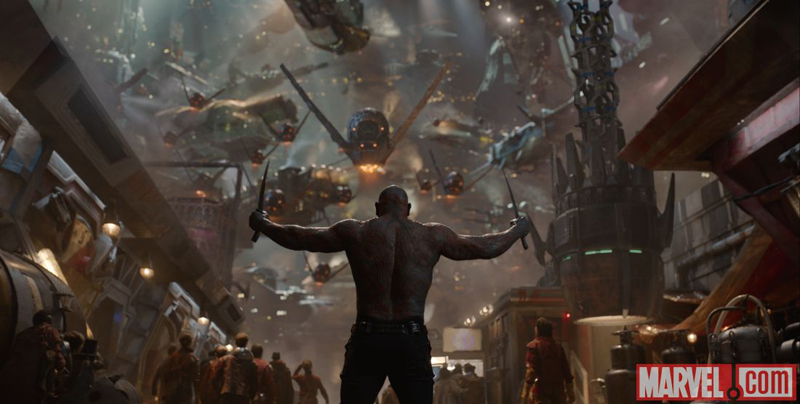 Shooting began in July in London, England, with Gunn’s brother Sean Gunn taking on multiple roles along the way, including standing in for Rocket — allowing for ad libs and a real sense that the actors were interacting with a character, rather than just a CG creation. 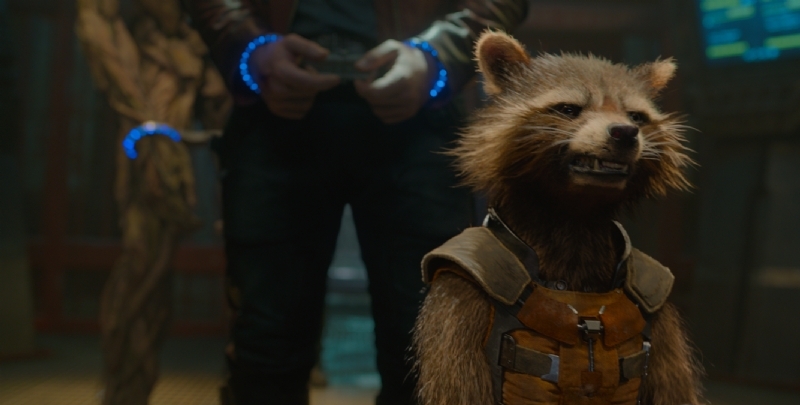 Although in August it was announced that Bradley Cooper would be voicing Rocket. 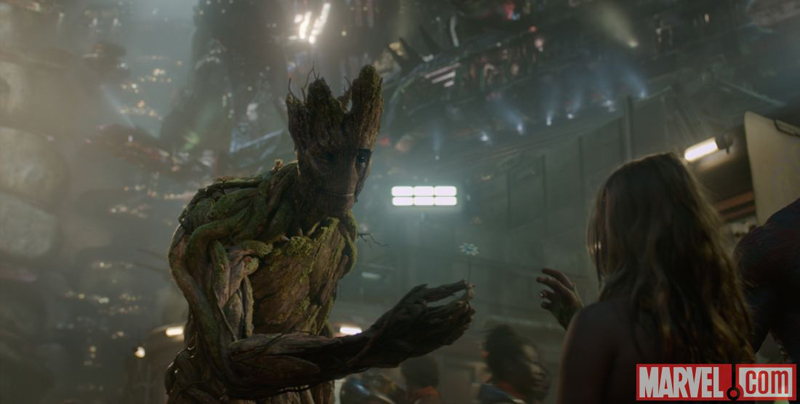 Then, in September, with filming a little over halfway completed, Vin Diesel started telling people he was the voice of Groot. Marvel was hush hush at the time, whether because contracts were still being negotiated or because Diesel was inserting himself into the casting process, we still don’t know. But on October 12, 2013, Gunn announced that filming was complete and there was still no confirmation of Diesel’s role. There would, however, be confirmation of the involvement of the Infinity Stones in this film and in the Phase Three movies going forward, before finally, in December the announcement was made, and the man who was Riddick and the voice of The Iron Giant was officially on-board. As would be expected with a $170 million space opera, post-production was intense, with twelve different visual effects companies pitching in. In the middle of this, at the end of May 2014, Josh Brolin was revealed to be the voice of Thanos and would also be performing the role via motion capture. And in addition to the traditional cameo by Stan Lee, we also got a special appearance by Troma co-founder Lloyd Kaufman. That’s how you bridge two worlds, right there. And a rumored cameo by Firefly’s Nathan Fillion turned out to be true, but despite fans’ anticipation, he would not be playing Nova or voicing Cosmo the Space Dog. Instead he would be voicing an alien prisoner taught a lesson by Rocket and Groot. Fillion is apparently holding out for the possibility of playing another Marvel character down the line — and with Whedon and Gunn now in the Marvel family, that’s looking more and more likely. Finally, on July 7, 2014, James Gunn announced that the film was complete and the marketing onslaught began. If anyone was concerned that Marvel Studios might be nervous about a blockbuster space opera by an indie comedy/horror director starring a TV comedian and a CG raccoon, they could be reassured that Marvel was definitely not hedging its bets. With the success they’d had since The Avengers — a combined box office gross of $4,091,093,431 — a marketing blitz was an easily affordable option and when the film debuted with early shows Thursday, July 31 it broke records, bringing in $11.2 million that night (beating Captain America: The Winter Soldier‘s Thursday opening by a cool million) before bringing in a total of just under $40 million by the end of the day Friday. What was originally projected as a very respectable $60 million opening weekend — which would have been an accomplishment in itself, given the source material — looks poised to break $90 million with a 92% fresh rating on Rotten Tomatoes from critics and 96% from audiences. It looks like Guardians of the Galaxy just might be one of Marvel Studios’ best-received films, matched only by the first Iron Man, The Avengers, and The Winter Soldier. 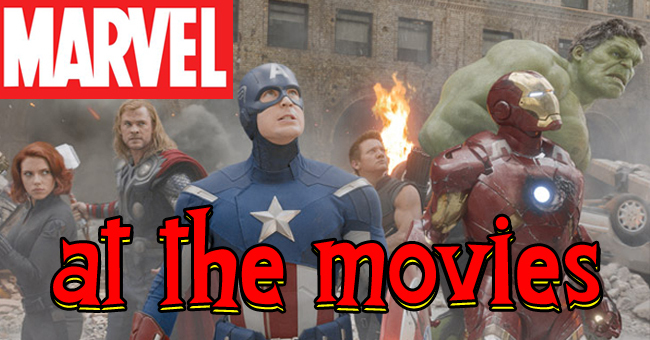 And oh yeah; a sequel was announced and the 2014 SDCC, with Gunn returning to write and direct.